“I hired Wallin & Klarich to defend me when I was charged with burglary, forgery, and illegal possession of a weapon. I stopped the check transactions of the payments I made to a few different cosmetic doctors, who had been negligent and incompetent in the procedures that I received. I was basically disputing charges, and the doctors filed criminal charges against me. In addition, a few eager detectives went out of their way to get charges filed with the D.A. In January of 2007, the charges were finally accepted by the D.A., and I was arrested. It was shocking to be arrested for something I had no idea could be turned into criminal charges. When I was arrested, I made the mistake of authorizing for my car to be searched. Since they found a wooden tire knocker in my car, they used that against me to allege I was in possession of an illegal weapon. I made bail and initially hired a Redondo Beach based attorney, who demonstrated himself to be fully unethical. He refused to take defense action on my case and attempted to incriminate me. I was facing two cases, and a warrant had just been issued for my second case. I was in jeopardy of being arrested because the attorney I initially hired refused to make an appearance at the courthouse to handle the active warrant. I was scared to death about getting arrested again, and the detective handling the 2nd case went to my apartment complex looking for me to attempt my arrest. Therefore, I immediately fired the first attorney I hired and began searching for a serious, professional firm that would make strong efforts to defend me. 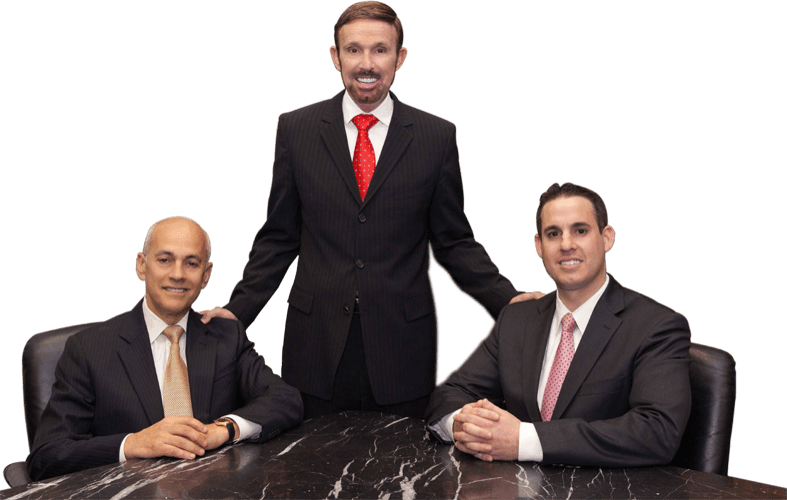 Because of my experience with the first attorney I hired, I was completely skeptical about trying to find an ethical, strong defensive attorney. I called Wallin & Klarich and spoke to an attorney. The attorney took the time to have a detailed conversation with me about what could be done to recall the active warrant and deal with the pending charges. He was understanding and incredibly helpful. Then, I decided to meet with the attorney in person. The attorney had a very strong personality, and seemed to be incredibly intelligent, knowledgeable, and experienced in this particular area of crime. He spent a significant amount of time explaining what would occur with my cases and helped ease some of my fear. I retained Wallin & Klarich that evening. By 9:00 a.m. that following morning the attorney had already gone to the courthouse and recalled my warrant, eliminating any possibility for my arrest. Thanks to the attorney’s prompt and effective action to recall the warrant, I no longer had to fear. My attorney continued to demonstrate his professionalism and diligence by making every effort to resolve my case. I’m a nervous person by nature and have been through a lot in life. Having criminal charges pressed against me was far more traumatic than anything else I’ve experienced. Because I was so nervous about the case, I repeatedly communicated through e-mail with the attorney and he was extremely patient and understanding. The partners were very professional and exceptionally helpful with my case as well. Despite their busy schedules, they took the time to respond promptly to all the questions I directed to their attention via e-mail. They even went out of their way to provide information pertaining to a separate non-criminal matter that I was involved with. My attorney was able to have all of my charges dismissed in the end. Words can’t begin to express how grateful I am to the law corporation of Wallin and Klarich for their help in favorably resolving my cases. I will forever be thankful for all of their help. Thank you so very much for taking on my case and for doing such an incredible job reducing the felony burglary charge to a misdemeanor! My experience with your professional representation could not have gone any better, and I truly appreciate all the time and effort you put into this case. I will definitely recommend your law firm to any of my friends in need of an attorney! !